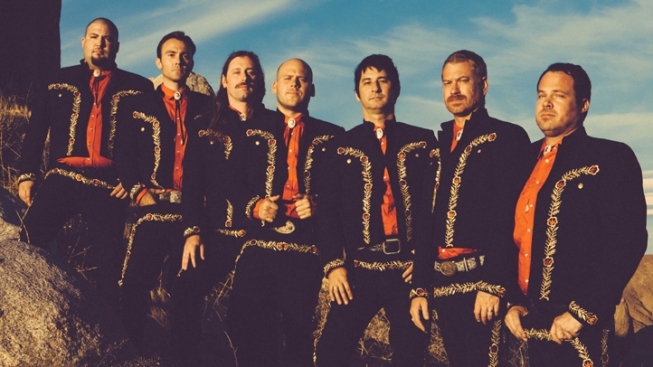 SoundDiego Live veterans Mariachi el Bronx celebrate Cinco de Mayo with a show at Belly Up on Tuesday. I know over the weekend I was kind of poking fun at Cinco de Mayo -- or the Americanization of the day that has little to do with its actual historical relevance [read Dita Quinones' post on the subject]. But today is actually Cinco de Mayo, and what better way to remember the Battle of Puebla than by rocking out to one of our SoundDiego Live veterans, Mariachi el Bronx. I'm not sure how there are still tickets left to this show at Belly Up to be honest, but you better get them online while you can. Openers Tijuana Panthers and Pounded by the Surf ensure that this will be a full-on party. Meanwhile, Casbah is almost sold out for metal bands Lightning Bold and Liturgy [read Seth Combs' preview of the show], so you better grab those tickets while you can, too. Elsewhere, Michael McDonald returns to town with a show at Humphrey's, and Creature & the Woods keep it local at the Merrow, while hip-hop artist E-40 throws down at the Observatory. U-31 became a rock & roll war zone when Mariachi el Bronx, Pounded By the Surf and Shady Francos brought a serious ruckus to SoundDiego LIVE XLIII.